Hello everyone I hope you're having a good week so far, such a shame the weather has been hit and miss. Not sure if it's the weather or my eating habits but my hair has been a little unruly lately. My scalp feels dry and itchy and my roots are getting oily/greasy quickly. 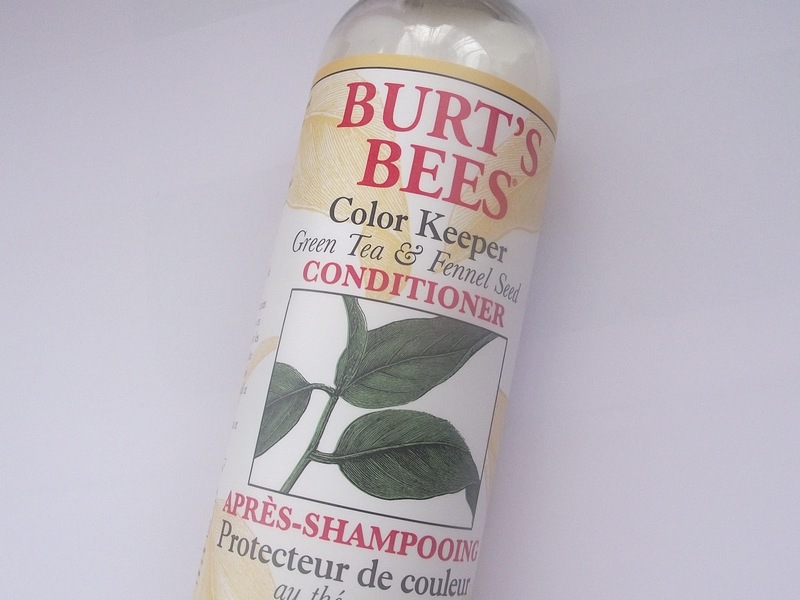 So I've been using BURT'S BEES Color Keeper Shampoo and Conditioner*. Aimed at colour treated hair, even though I've not had my hair dyed for a while now I still want to keep the colour vibrant and shiny. Green Tea is famous for it's beneficial properties, I enjoy drinking green tea knowing how good it is for my body. I've never tried any of the BURT'S BEES products before so was very excited to have the chance to try some products from their range. Even though this shampoo is free from nasties it still lathers well, it smells very fresh and clean. I use a few different hair styling products which can build up quite quickly leaving my hair looking dull and feeling greasy. So using a gentle cleansing shampoo helps to keep my hair fresh and clean. It's tea time ... for your hair. Give your hair a rejuvenating lift with this natural, sulfate-free shampoo. Its antioxidant-rich green tea extract helps to neutralize free radicals that can damage hair exposed to the sun while jewelweed extract helps color-treated hair maintain its vibrant shine. The conditioner smells very fresh like the shampoo but you can totally tell the main ingredient is Green Tea. I could smell it all day. It's surprisingly hydrating even though it's not an overly thick conditioner like some. I really like the fact these are roughly 90% natural, making them hair friendly! It's tea time... for your hair. Give your hair a drink of moisture with this natural conditioner. Its antioxidant-rich green tea and jewelweed extracts help colour-treated hair maintain its vibrancy while marula oil and fennel seed extract provide deep conditioning that won't weigh hair down. You can purchase BURT'S BEES from Boots, Feel Unique and also on the BURT'S BEES website. Have you tried any of the BURT'S BEES hair care products? What's your favourite BURT'S BEES products? I really want to try more from the brand so leave your recommendations below.